Based on reader feedback, I now want to address a longstanding practice regarding charitable giving in the art world that needs to end. I’ve written on this topic before for Art F City, but the practice continues in the art world, and it bears revisiting. This practice usually begins with a conversation: director of non-profit X asks artist Y to donate an artwork for an upcoming fundraiser (or sometimes its a for-profit organization soliciting work for a charity fundraiser). Artist Y is hesitant — he’s been asked for work from five different organizations in the last month. The arts organization director makes a vague mention of tax deductions, and so the artist agrees to donate a small painting. A few months after the benefit, the artist opens a letter from the organization, saying thanks for the donated work, and listing its sale price. With this seemingly official letter in hand, it’s easy for the artist to conclude that they can deduct that sales price on their taxes. But this is incorrect. 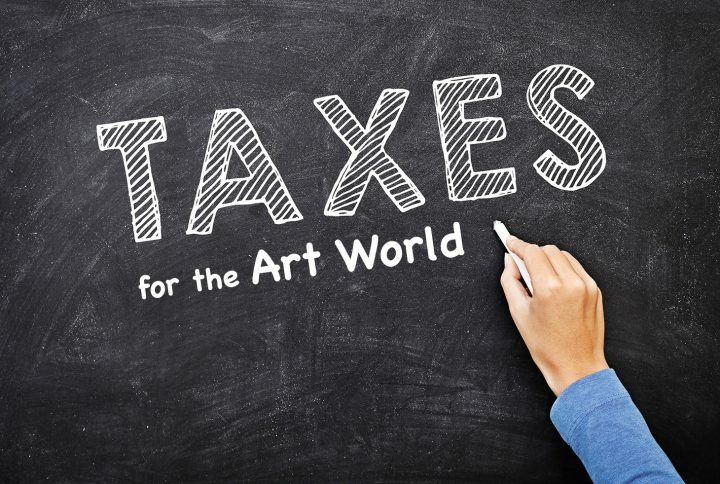 Here’s why: when an artist makes work, the IRS considers that work to be a “self-created asset.” The artist can take a deduction only for the cost of materials, not the labor. But for most artists, the value of the work derives mainly from the labor that they put into it. Picture a piece by artist El Anatsui, whose shimmering chainmail-like tapestries are painstakingly stitched together out of bottle caps. The materials by themselves are worthless —it’s the labor that turns them into art. Despite that, under the current tax code, if El Anatsui used 30,000 found objects plus $10 of fasteners, and spent 1,000 hours of labor creating a piece, he’d get to deduct just $10 for donating that piece. It gets worse. If you’re a professional artist (as opposed to a hobbyist), you operate an arts business. This means that on the same tax form where you list your art income (that’s your Schedule C), you also get to list your expenses. This is great, because it means you’re only paying taxes on your profit — not on your total revenue. So if you’re like most artists, you already deduct all your materials on your Schedule C.
The IRS does not allow “double-dipping,” however. So if you’ve deducted the materials once as an art expense on your tax return, you may not then deduct them again as a charitable expense. In other words, before you ever donated the piece, you already had all the deduction you were going to get for it. When you donate work to the charity, you may help an organization do good work, you may get the warm fuzzies, you may get a mention on the brochure, but you do not get any tax deduction. 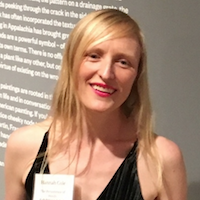 I’m both an artist and an accountant, so I’ve been on both sides of this issue — I’ve donated lots of artwork to art benefits, and I also do the taxes of many artists who donate artwork and often feel cheated when they learn that their donation gives them no benefit on their taxes despite what felt like a promise (or at least a suggestion) from the organization to which they donated. Non-profits, I feel for you. You need funds, and there are changes in the tax law this year that are going to seriously hurt your bottom line (see my last article). But can we all agree to end the practice of soliciting artwork with promises — or even suggestions — of tax deductions? It’s unfair and misleading. And we know you’re better than that. Artists tend to be generous, and want to help you do good. So I’m calling on you to keep your solicitations focused on your good work and how the artist’s donation will help you do more of it.